$2 shipping on this shirt! 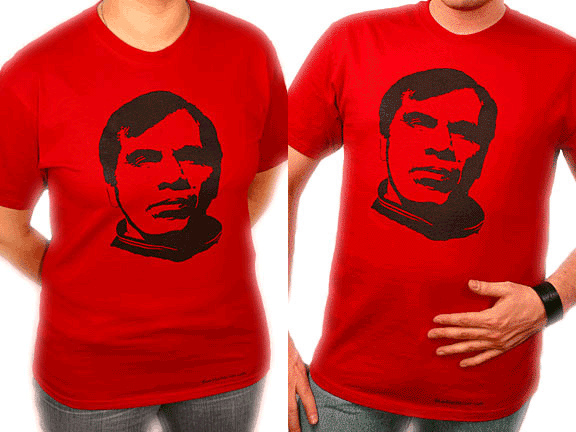 LA Galaxy's Bruce Arena Che Guevara inspired t-shirt in deep red, available in five sizes. Hanes 5250 tagless men's style shirt. 100% preshrunk cotton. Bruce Arena image is approximately 11.5" by 7.5". The bitchin' wristband shown in the big picture is not included.